Disclaimer: I was sent SafeCatch Tuna for review and recipe creation purposes. But all opinions are my own. I never eat anything I think is yucky and I certainly don't recommend it to you guys! 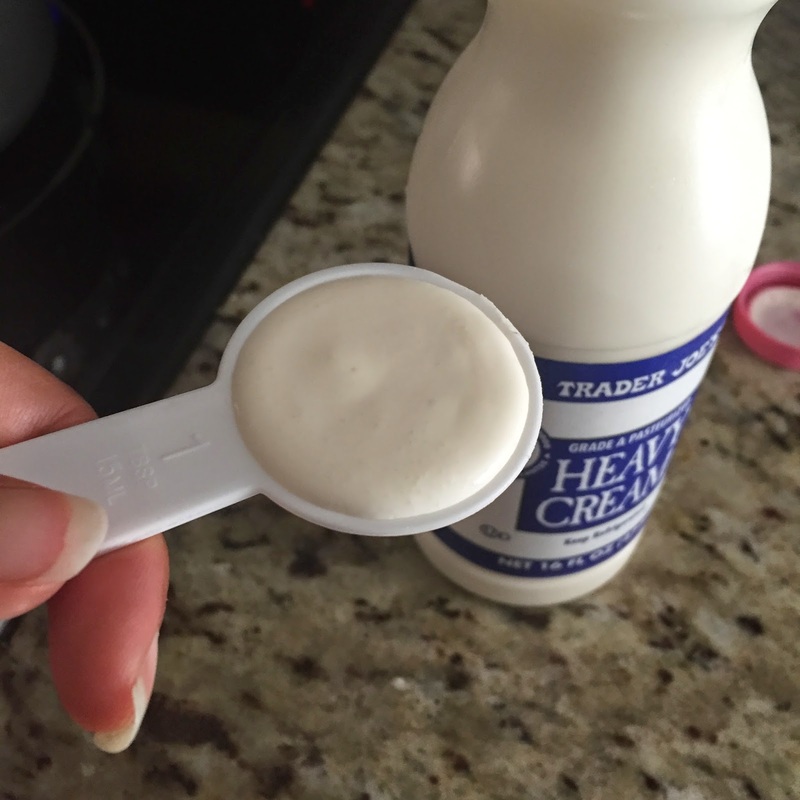 So rest assured, this and any other recipe I say is YUMMY - really is! Tomorrow, my friends, is Earth Day! 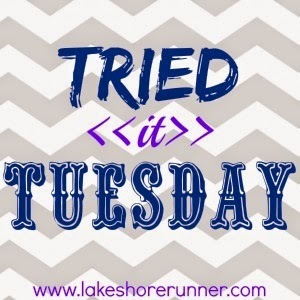 To celebrate, I am linking up with Sara at Lake Shore Runner for Tried it Tuesdays because I want to tell you about Tuna! Yes Tuna. Before you say "yuck," let me tell you, I was you. I thought canned tuna was for cats. Not for humans. SDDad LOVES tuna. Salad, sandwiches, "hot dish." You name it. I would not could not eat it unless it was raw and it was named sushi or sashimi! Or seared ahi on a salad. You get the idea. But then...things happen. 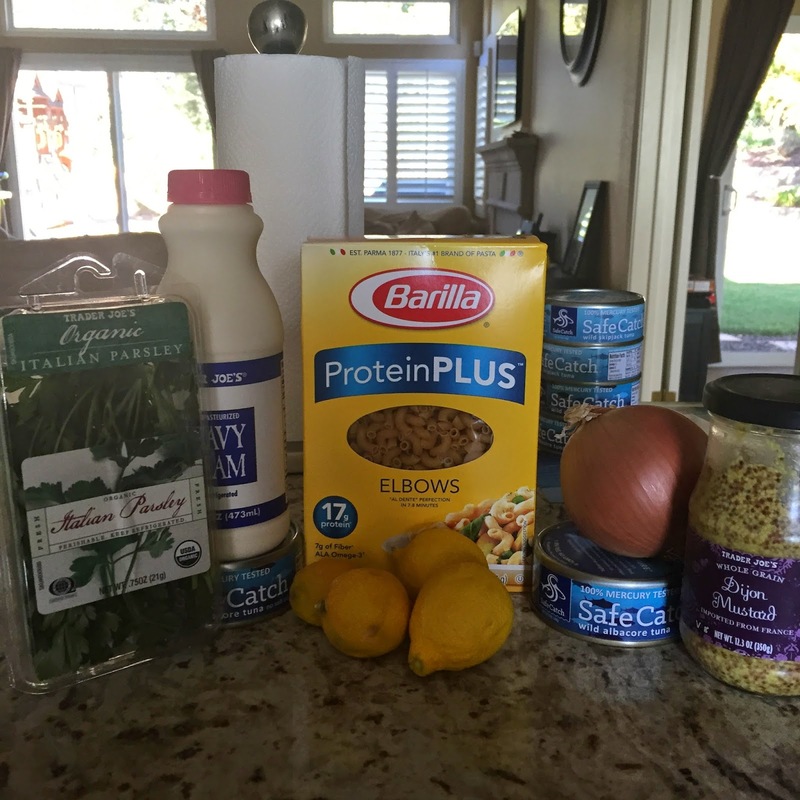 I got approached to try out Safe Catch tuna in preparation for Earth Day and the launch of sales at Sprouts. Starting on May 1, Safe Catch Tuna will be available at Sprouts! But what is so great about THIS tuna? 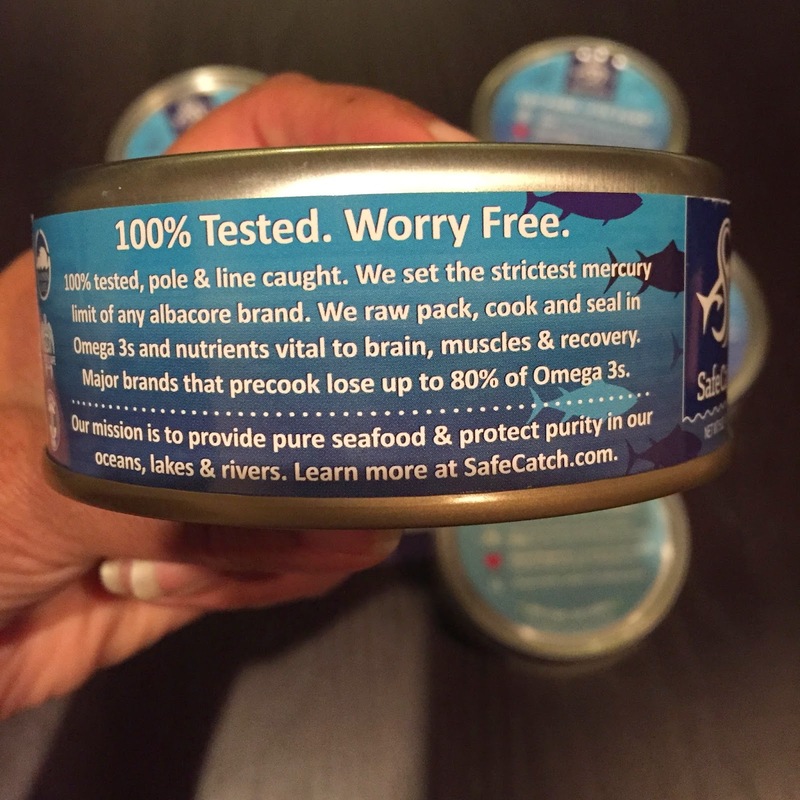 They are the only brand that tests every single tuna for mercury. 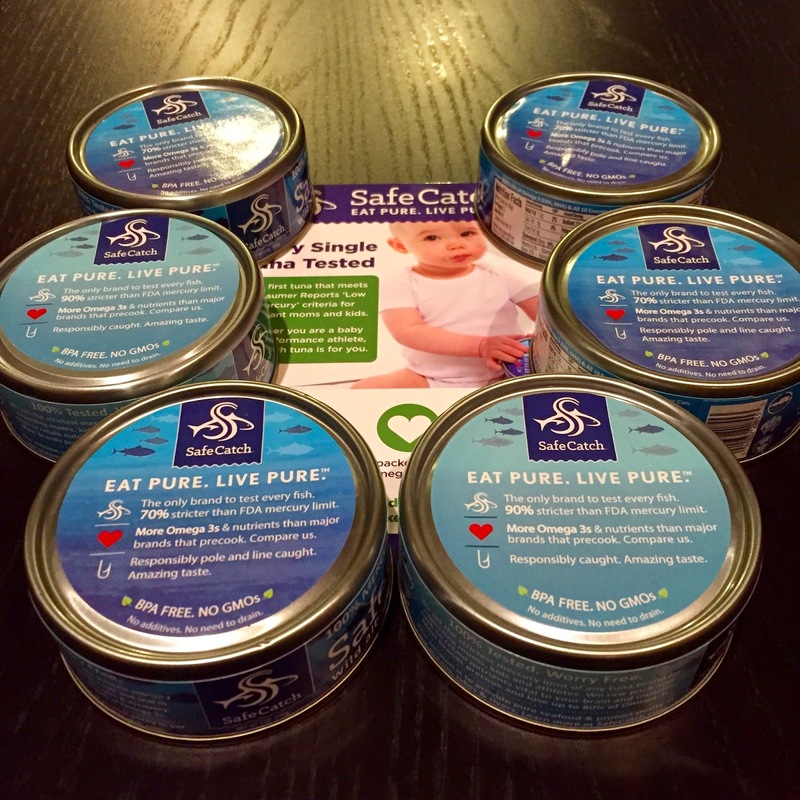 That means whether you are a baby or a performance athlete, Safe Catch Tuna is safe for you. The tuna is BPA free, additive free and filler free. It is sustainable, dolphin safe and fully traceable. The tuna is pole and troll caught and their mission is to protect the purity of our oceans, lakes and rivers! So how does it taste? I was NOT going to eat it plain so I thought I would turn to my favorite recipe source. She has never let me down before. 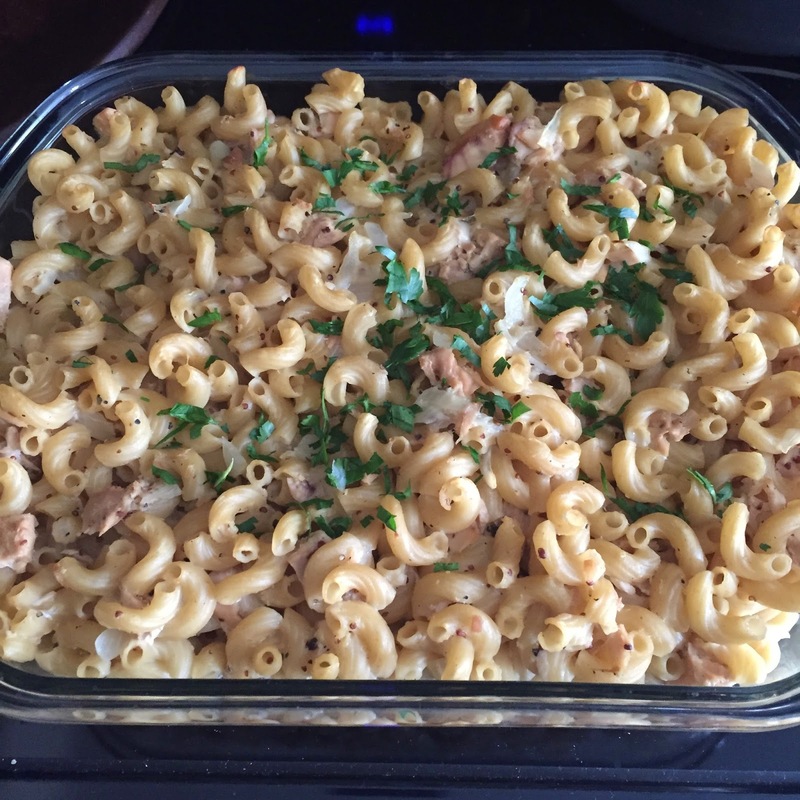 Mel has a recipe for One Pot Creamy Tuna and Shells on her site and I figured, heck! Why not? Maybe it will make SD Dad happy at least. 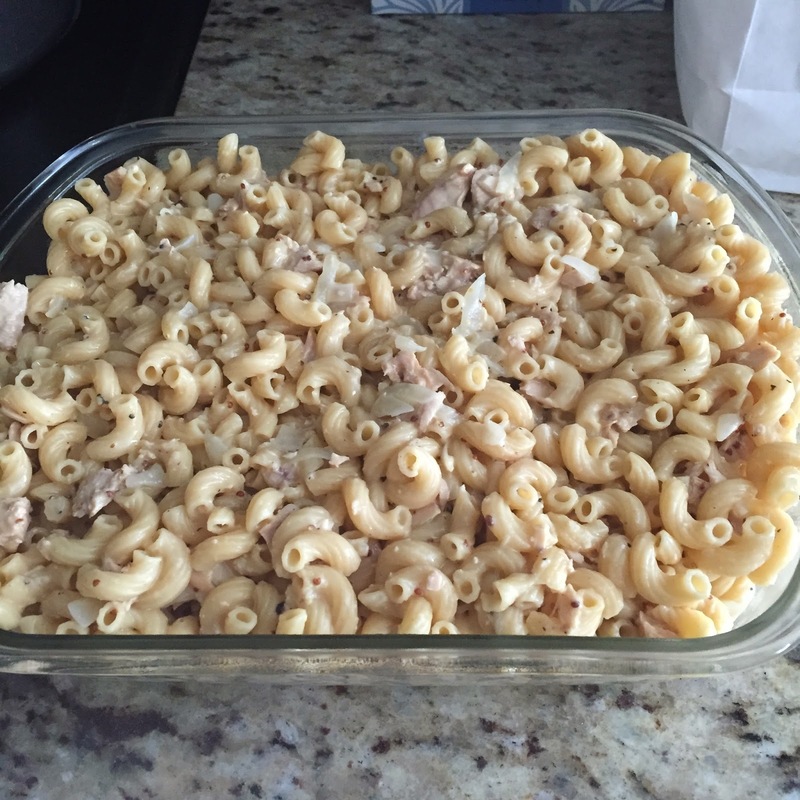 So here is the recipe for Baked Creamy Tuna Mac, heavily adapted from Mel's Kitchen Cafe. 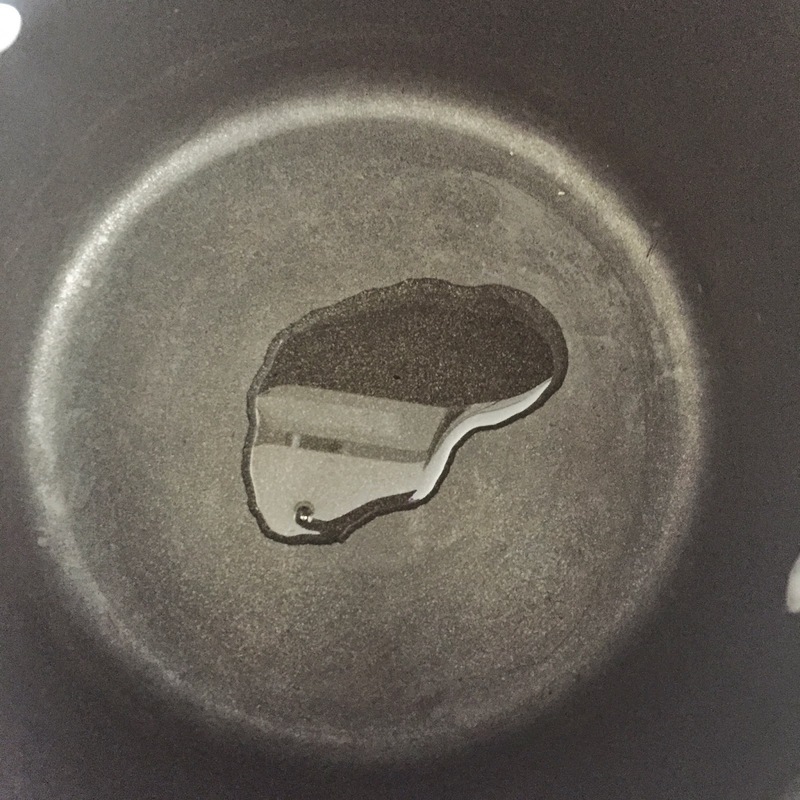 In a large saucepan, heat the oil over medium heat. 2. 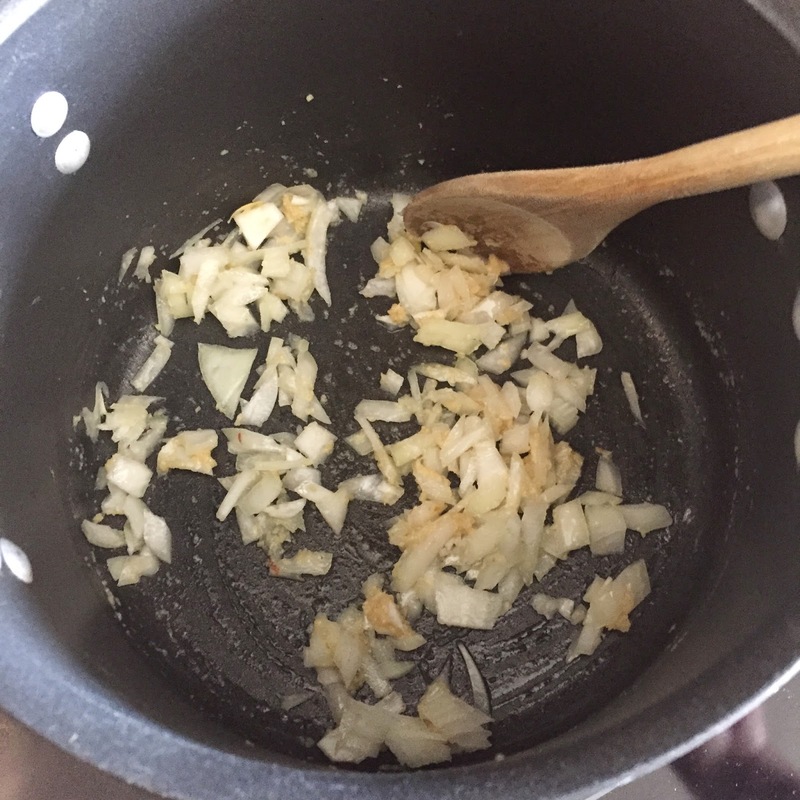 Saute the onion and garlic together for a couple minutes. 4. Stir in the water. 5. 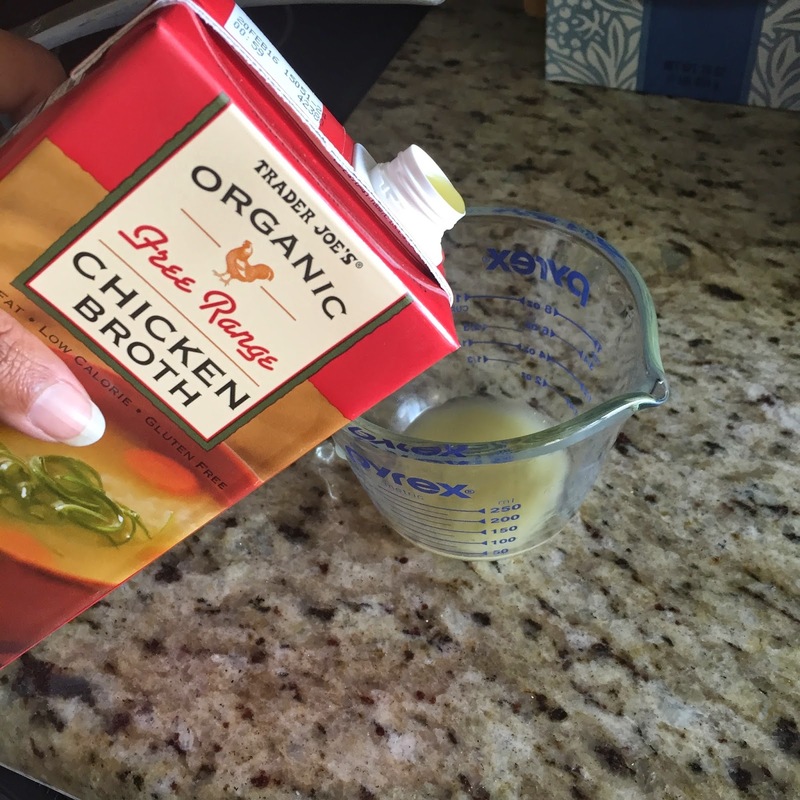 Add in the chicken broth. 6. 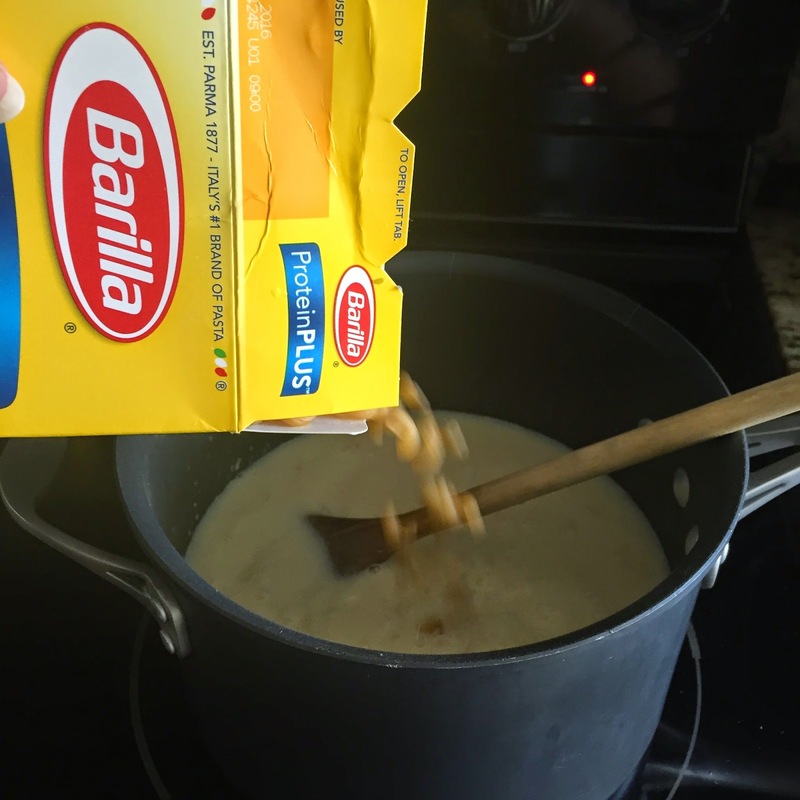 Add in the pasta. 9. 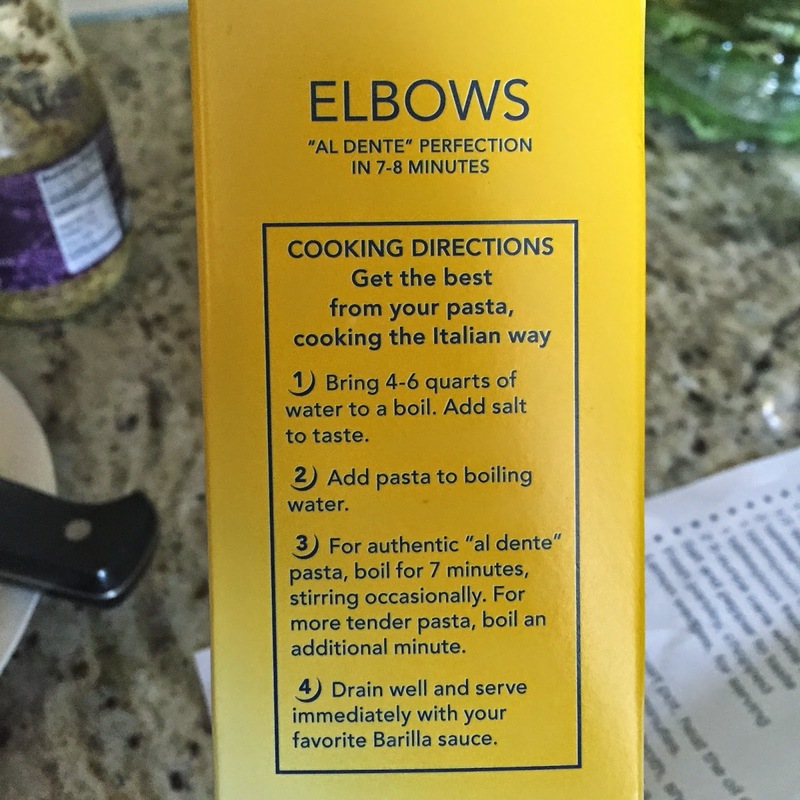 Bring to a simmer, and cook, uncovered, stirring often (at a simmer, not a rigorous boil) until the pasta is al dente, according to package directions (the pasta will continue to cook a bit over the next few minutes so don't overcook it in this step). 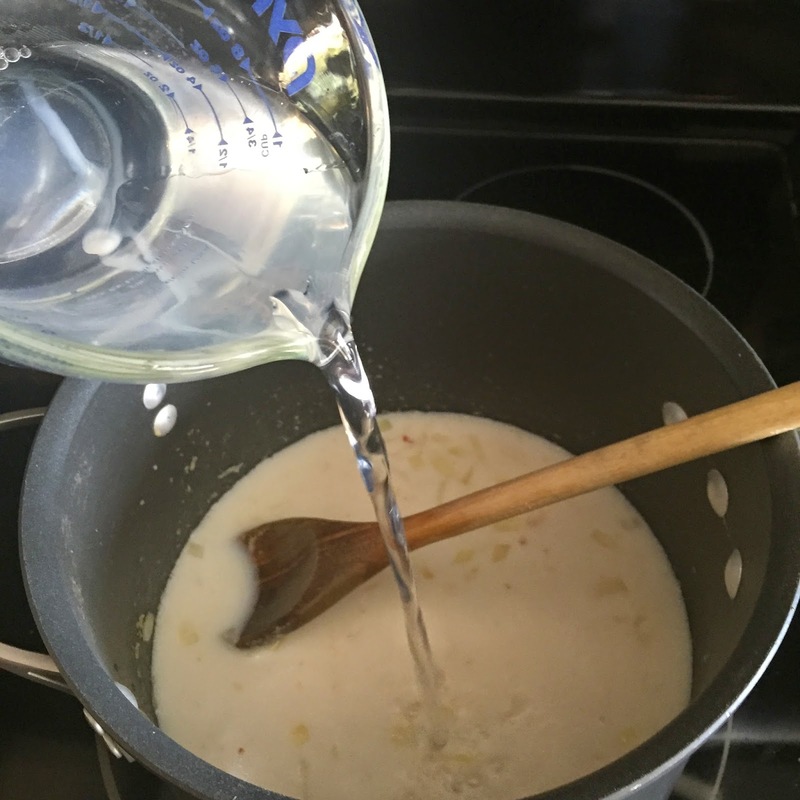 Notes from Mel: "Each brand of pasta will will differ slightly; depending on the brand, you may need to add a bit more liquid toward the end of cooking time but do so gradually so it isn't too soupy. There should be a bit of liquid left even after the shells are just tender. 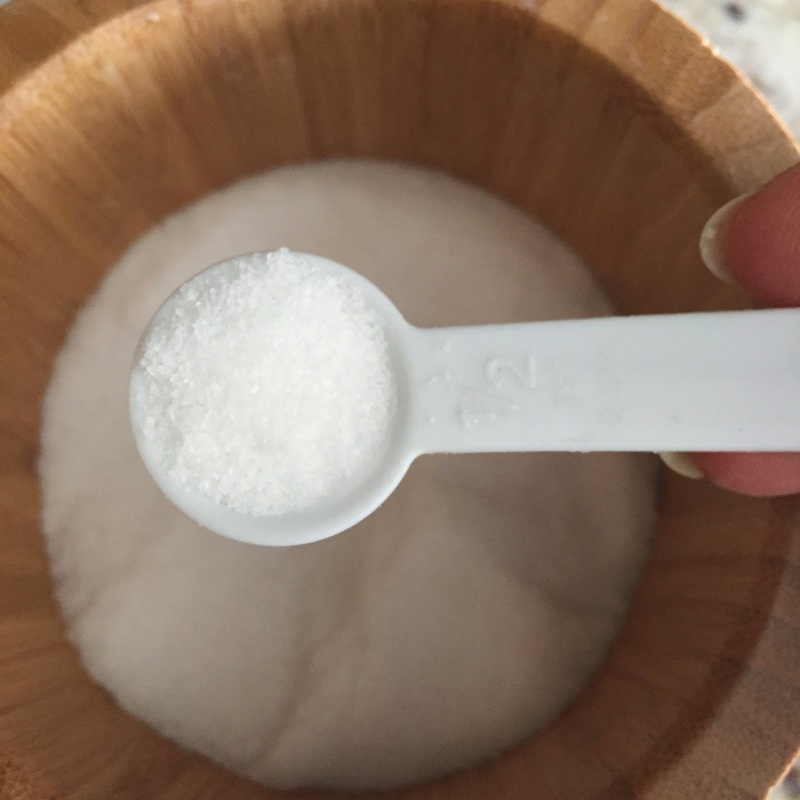 They'll continue to soften up and the liquid will be absorbed as other ingredients are stirred in and as it rests." 10. 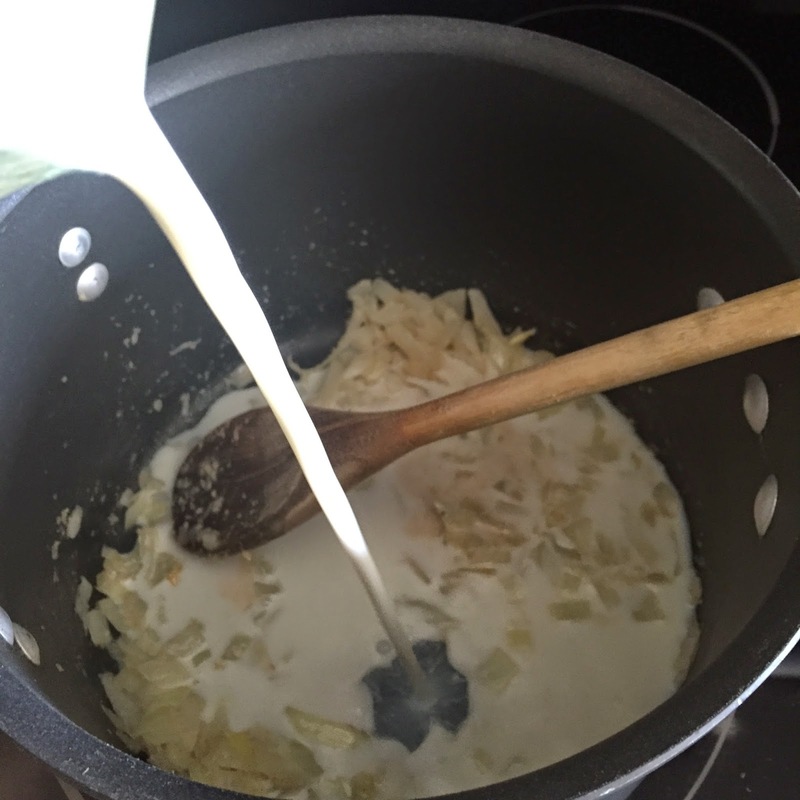 Stir in the heavy cream. 11. 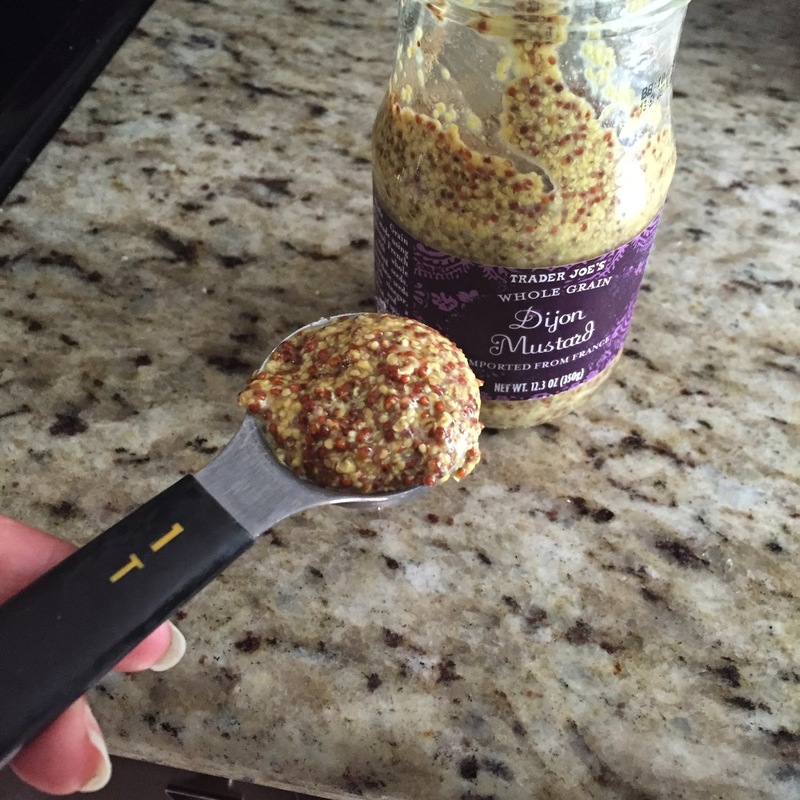 Stir in the dijon mustard. 12. 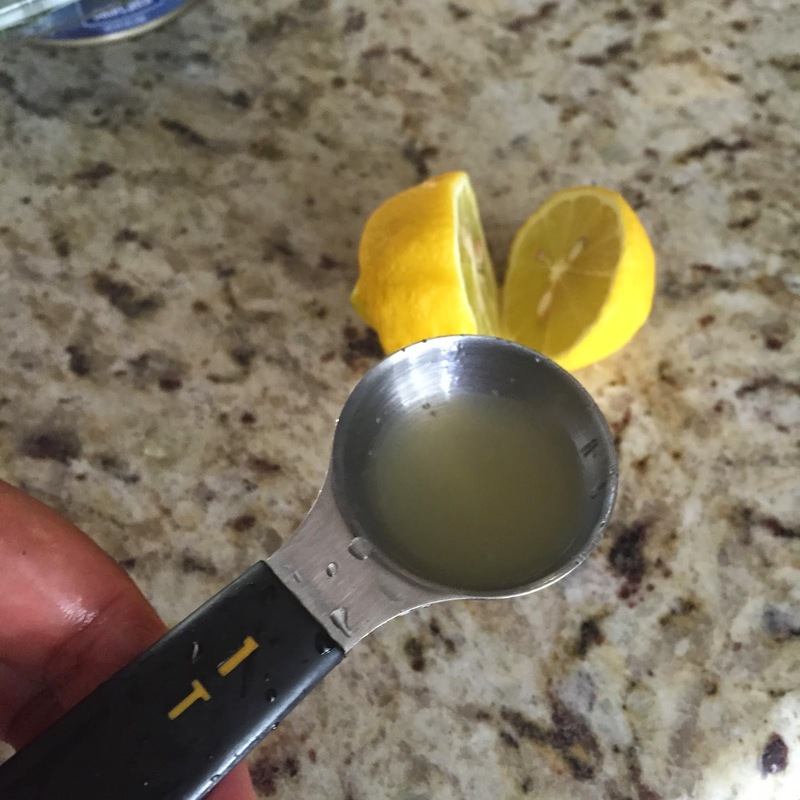 Stir in the fresh lemon juice. 13. Add the tuna and mix until combined. 14. 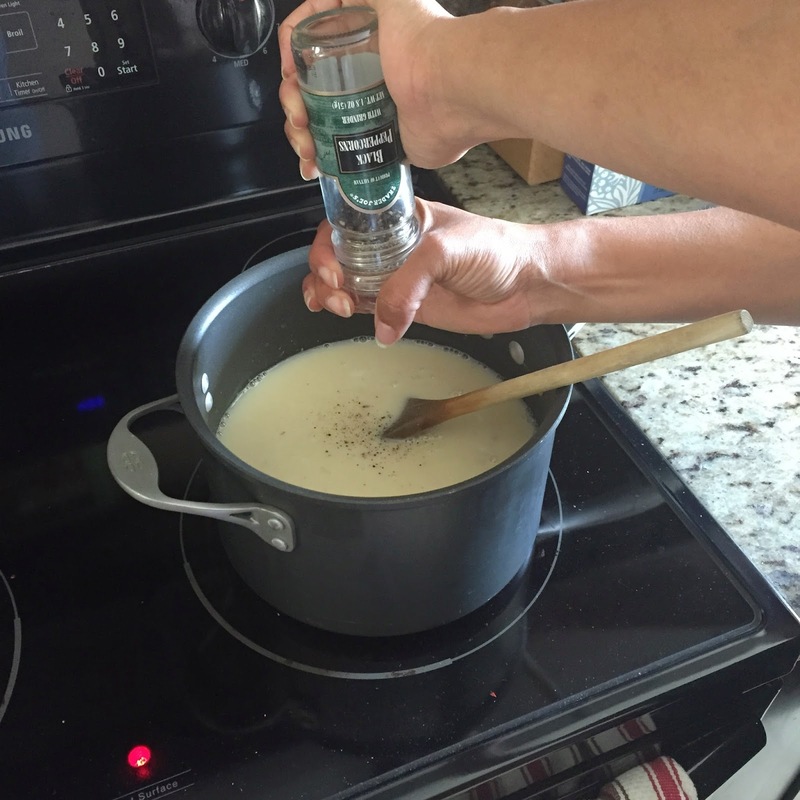 Taste and then add additional salt and pepper if needed. 15. At this point, I stuck it under the Broiler at HIGH for about 7 minutes so it gets that casserole look. This is not necessary but I thought I would give it the "Hot Dish" touch. 16. Sprinkle with parsley and squeeze extra lemon juice over the top! 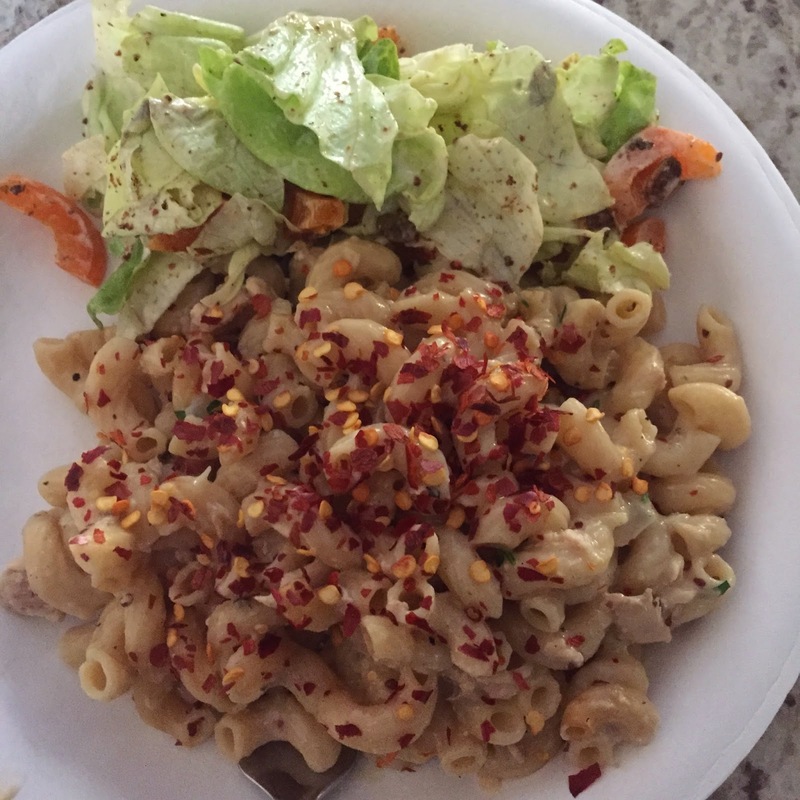 I served it with a simple butter lettuce, orange bell pepper and sunflower seed salad with lots of red pepper flakes! Those were for me of course! So there it is! I celebrated Earth Day by eating Tuna and I didn't curl up and die. 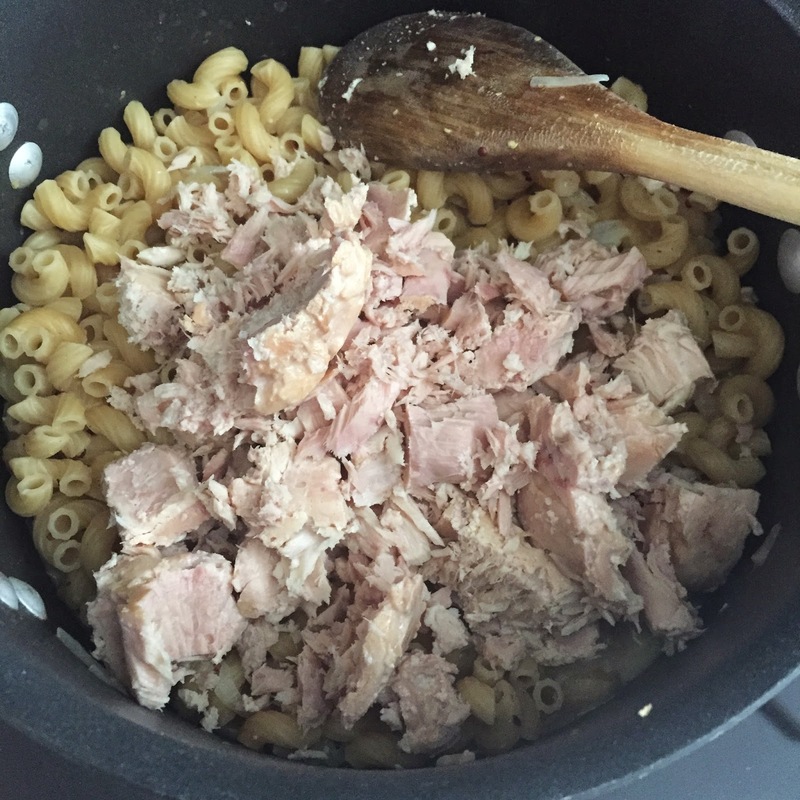 In fact, I really liked it and I am looking forward to making a lot more recipes with Tuna! SD Dad LOVED it and so did S & D! Family friendly and SD Kidz approved! 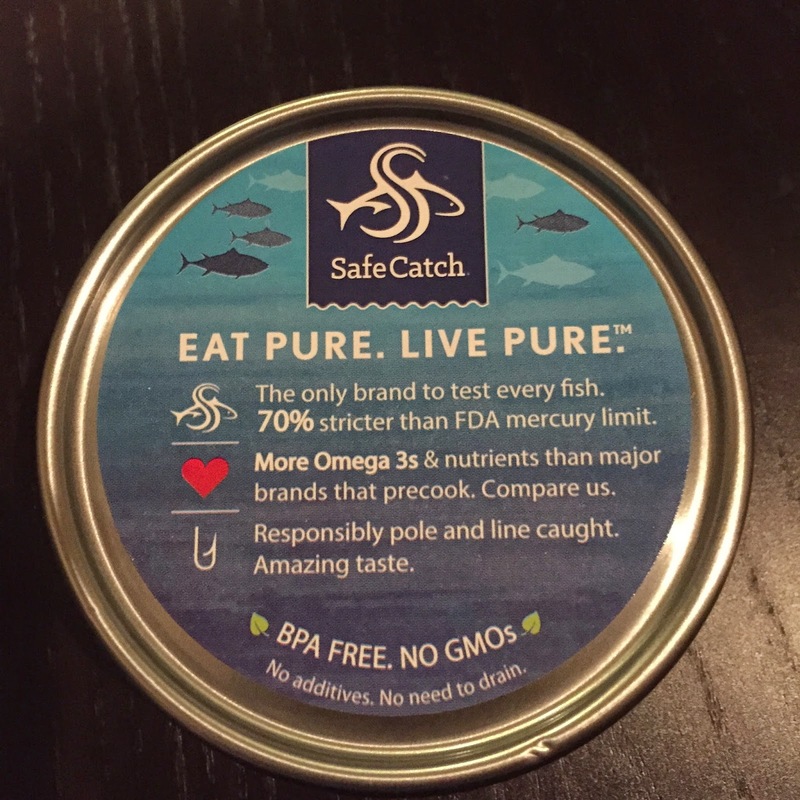 Now that I know Safe Catch will be across the street at Sprouts, we will be eating tuna a lot more! You can follow Safe Catch on Twitter and on Facebook. They also have a really neat Instagram account with lots of yummy pictures! I am also planning on carpooling for Earth Day and abstaining from meat. Carbon footprint and all. What are your Earth Day plans? Do you like Tuna? Oh this looks amazing. I love tuna!